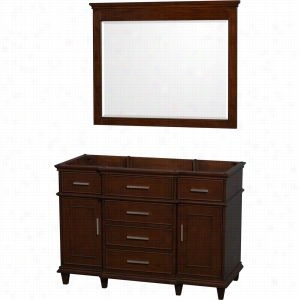 Wyndham Collection WCS141460SGYCXSXXM58 - 60" Single Bathroom Vanity, No Countertop, No Sink, & 58" Mirror. Stilhaus by Nameeks G688 Bathroom Butler. Dimensions: 9.8 diam. x 37.4H in.. Made of solid brass and ceramic. Variety of finish options available. Holds a variety of bathroom essentials. 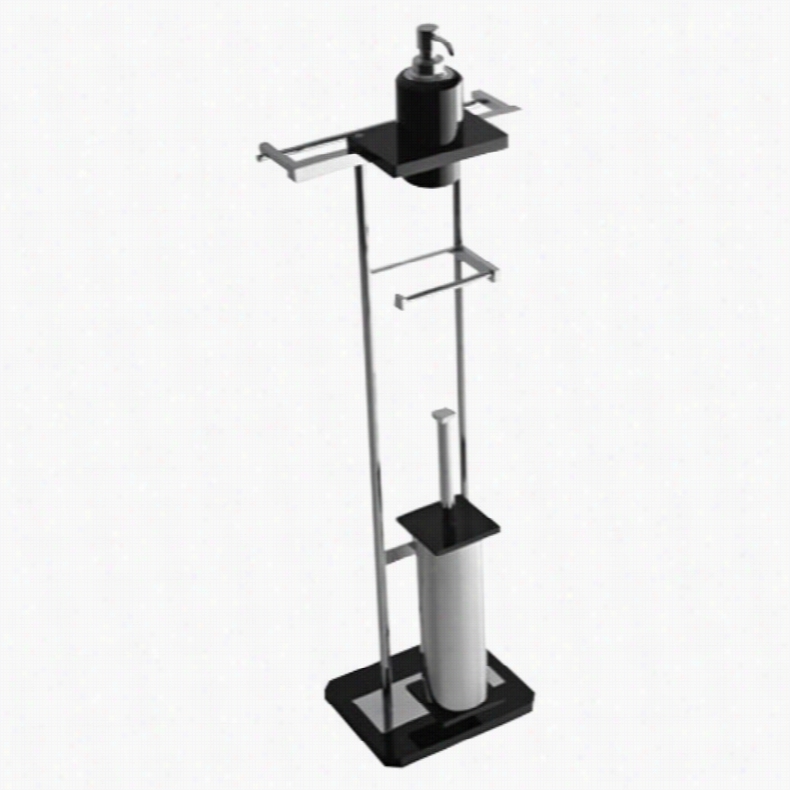 Free-standing design. Includes 1-year manufacturer warranty. Traditional beauty and practicality are all wrapped up into the Stilhaus by Nameeks G688 Bathroom Butler. A graceful tradition borrowed from bygone eras, this butler holds a variety of bathroom essentials in style. It's made of solid brass and comes in a wide variety of finish options.About NameeksFounded with the simple belief that the bath is the defining room of a Household, Nameeks strives to design a bath that shines with unique and creative qualities. Distributing only the finest European bathroom fixtures, Nameeks is a leading designer, developer, and marketer of innovative home products. In cooperation with top European manufacturers, their choice of designs has become extremely diversified. Their experience in the plumbing industry spans 30 years, and is now distributing their products throughout the world today. Dedicated to providing new trends and innovative bathroom products they offer their customers with long-term value in every product they purchase. In search of excellence, Nameeks will always be interested in two things: the quality of each product and the service provided to each customer. Color: Gold. 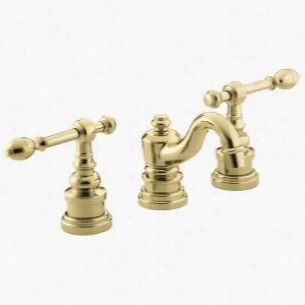 Kohler K-6811-4-PB - Widespread Bathroom Faucet with Ultra-Glide Valve Technology. Native Trails 30 in. Trough Drop In Bathroom Sink Brushed Nickel. Dimensions: 30L x 14W x 6H in.. 16-gauge hand-hammered, recycled copper sink. Choice of finish. 1.5-in. drain. UPC/cUPC compliant. Drop-in installation. Faucet not included. The hand-hammered Native Trails 30 in. Trough Drop In Bathroom Sink commands a striking effect. The natural focal point of a smaller bathroom, this sink captures a sleek, modern aesthetic with artfully mottled hand-hammered copper. Available in select finishes. 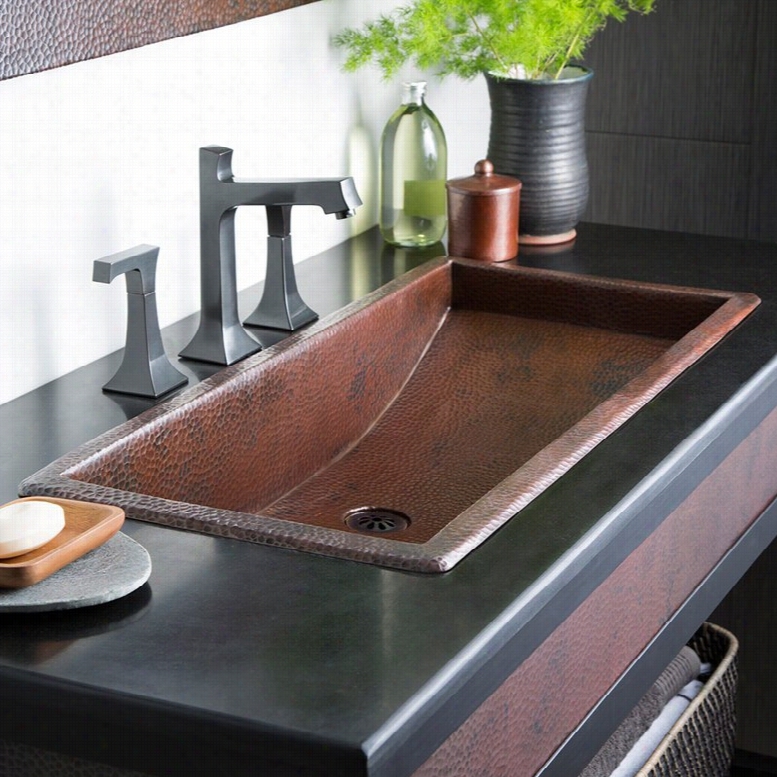 This copper bathroom sink is artisan-crafted and forged of high-quality recycled copper.About Native TrailsNative Trails was founded on the dream of combining artisan heritage, innovative design, and sustainable materials in the home. The company is dedicated to bringing the work of undiscovered artisans to consumers, with a Focus on copper in the kitchen and bath. Every Native Trails product upholds these values and ideals, and comes with a lifetime warranty to prove it. Add grace and authenticity to your space with Native Trails. Color: Brushed Nickel. Foremost Auguste 60 in. Double Bathroom Vanity. Dimensions: 60W x 21.5D x 34H in.. Solid wood construction. Transitional design in choice of finish. 4 framed doors with antique pewter hardware. Open bottom shelf with tapered legs. Faucet, sink, and top not included. The bathroom vanity defines the entire decor of what&rsquo;s probably one of the most important rooms in the house - make yours distinctive with the Foremost Auguste 60 in. Double Bathroom Vanity. You&rsquo;ll love how the transitional design combines modern and traditional elements to create a style that&rsquo;s both refreshing and refined, elegant yet down-to-earth.Four framed panel doors conceal ample storage space, and their antique pewter hardware and soft-close hinges are some elegant little extras. Below, the open shelf is flanked by simple tapered legs, and it creates a handy space for everything from spare towels and toilet tissue to decorative accents. The vanity arrives pre-assembled, too. Faucet, sink, and top not included.About Foremost Groups Inc.Established in 1988 based on simple strategies and principles, Foremost remains dedicated to their mission of providing fashionable, innovative designs and knowledgeable, friendly customer service to their customers on a daily basis. Throughout the years, Foremost has developed offices and distribution centers in the U.S. and Canada with four separate product divisions consisting of bathroom furniture, indoor and outdoor furniture, and even food service equipment. All of their products are proudly constructed with world class engineering and the best designs at an affordable price. Color: White. Wyndham Collection WCV161636SCDCMUNRM24 - 36" Single Bathroom Vanity, White Carrera Marble Countertop, Undermount Oval Sink, & 24" Mirror. Kohler K-14223-SR2-0 - Caravan Collection Persia on Conical Bell Vessels Vitreous China Bathroom Sink. 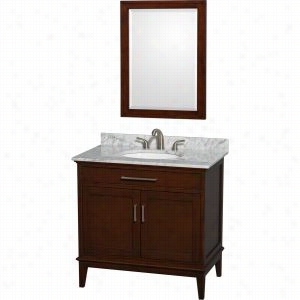 Wyndham Collection WCV171748SCDCXSXXM44 - 48" Single Bathroom Vanity in with No Countertop & No Sink & 44" Mirror. Toscanaluce by Nameeks G375 Bathroom Butler. Dimensions: 11.02W x 8.66D x 35.04H in.. Made of high-quality Plexiglass. Variety of finish options available. Freestanding. Includes toilet paper holder and soap dispenser. Includes 1-year manufacturer warranty. 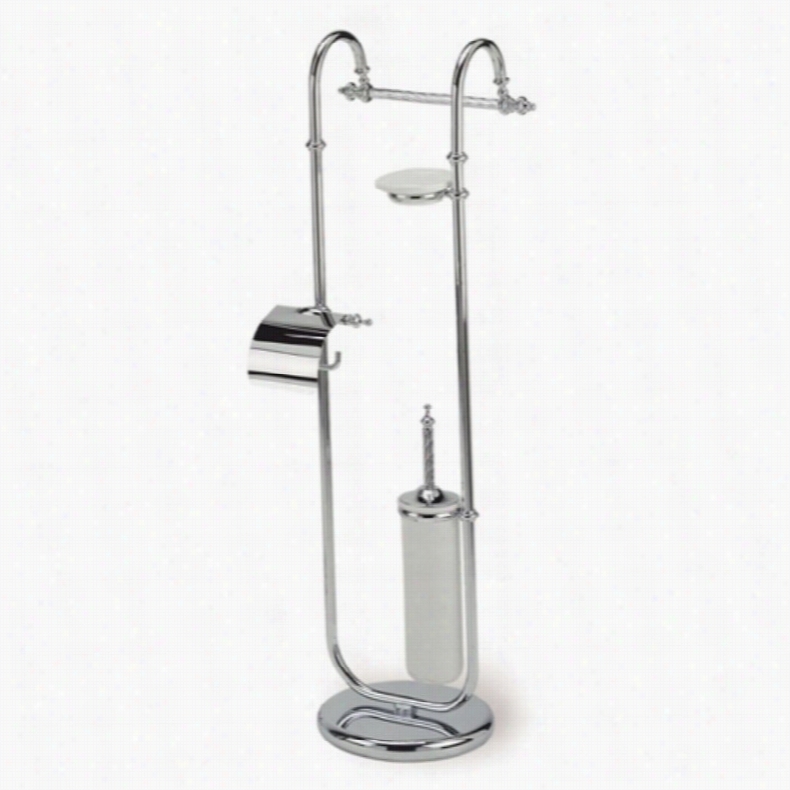 The sleek design of the Toscanaluce by Nameeks G375 Bathroom Butler makes an ideal piece for small baths. Made of high-quality Plexiglass, this bathroom butler includes a toilet paper holder, a Liquid dish soap dispenser, and a space for your toilet brush holder. Available in a variety of finish options.About NameeksFounded with the simple belief that the bath is the defining room of a household, Nameeks strives to design a bath that shines with unique and creative qualities. Distributing only the finest European bathroom fixtures, Nameeks is a leading designer, developer, and marketer of innovative home products. In cooperation with top European manufacturers, their choice of designs has become extremely diversified. Their experience in the plumbing industry spans 30 years, and is now distributing their products throughout the world today. Dedicated to providing new trends and innovative bathroom products they offer their customers with long-term value in every product they purchase. In search of excellence, Nameeks will always be interested in two things: the quality of each product and the service provided to each customer. Color: Light Blue. Avanity BROOKS-VS42-WT Brooks 42-in. Single Bathroom Vanity Without Top. 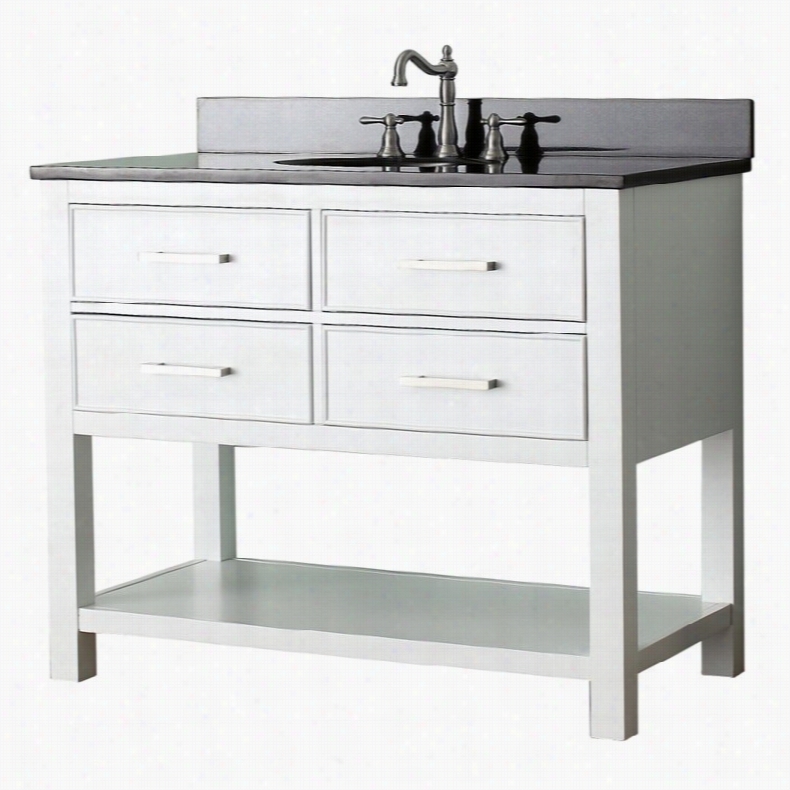 Overall Dimensions: 43W x 22D x 35H in.Single, wide modern bathroom vanityHardwood and engineered wood frame constructionRound undermount china sink includedChoose from several top options; faucets not includedTop comes pre-drilled for widespread faucet assembly. Begin planning your brand-new master bathroom layout with the Avanity BROOKS-V Brooks 42 in. 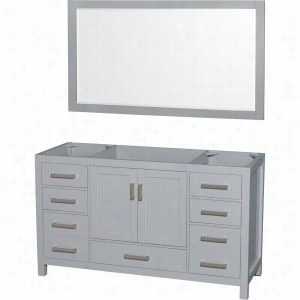 Single Bathroom Vanity - White. Its wide surface provides plenty of space to place toiletries soaps and towels supported by a durable frame crafted from poplar solids and medium-density fiberboard. 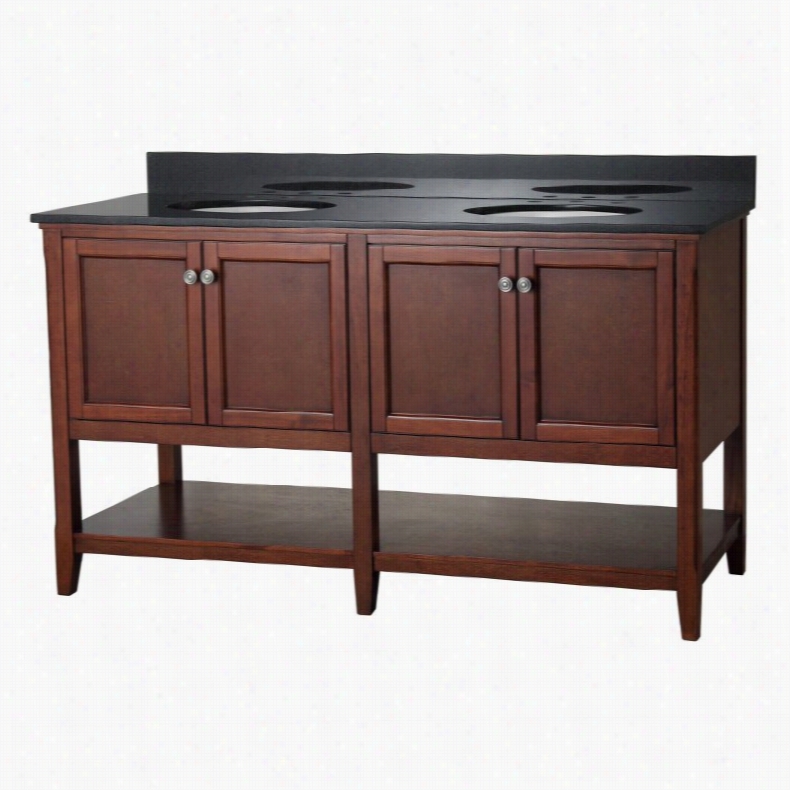 The base comes equipped with two soft-close drawers a wide open bottom shelf and brushed nickel hardware. A stone vanity top is provided available in several colors and paired with a matching backsplash; vanity is available without a top as well. Each of the stone tops is drilled to allow for addition of a three-hole 8-inch widespread faucet (not included). 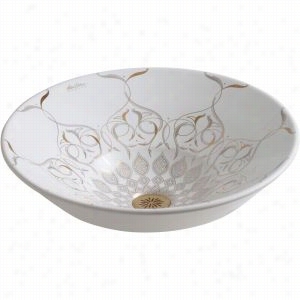 A round vitreous china sink is also available or choose just the vanity alone. About Avanity CorporationAvanity's goal has always been to provide the public with the best Products possible at the fairest prices. To this end their customer service style is about listening to their customer not just hearing them. Avanity is confident in all of their products and provides a one-year manufacturer's warranty to prove it. Avanity also takes note of increasing market trends to stay ahead of the game and provide the most cutting-edge products available. Color: Without Top.